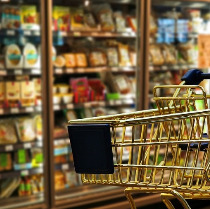 Our Retail Team is specifically designed to meet the needs of all Retail businesses, catering to their process of selling services and goods to earn a profit. We successfully represent retail enterprises engaged in food products, durable goods, consumables, the arts and more. Our Retail team has in-depth industry experience, and strives to learn the intricacies of your operations. In this global age, we are witnessing the demand for products & services from around the world. The opportunities are limitless when it comes to establishing new and old brands from around the world. We are aware of the needs of running such a company and the types of help that is required from the different workers such as stock clerks, cashiers, retail salespeople, store managers, customer service reps, retail managers, product demonstrators, and warehouse workers. At Davies & Associates we are committed equally to learning about your operations as well as supporting your overseas expansion initiatives.